This 24-Volt DC One-way self-holding solenoid is great for projects! 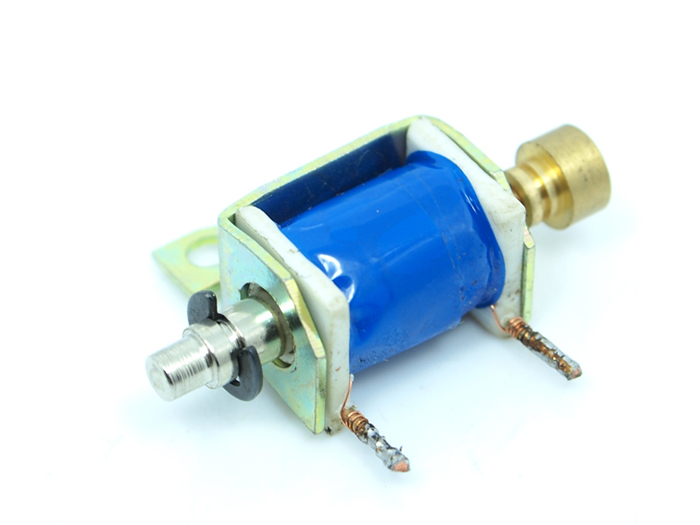 These types of solenoid are often used for automatic door locks,vending machines,robot etc. However, they work great for almost any project requiring a DC solenoid. Operation temperature: -5°C to 40°C , the solenoid valve will not solidification. Operating humidity: 45% to 85%, the solenoid valve will not solidification. Storage temperature: -40°C to 75°C in between, the solenoid valve will not solidification. Storage Humidity: 0% to 95%, the solenoid valve will not solidification.